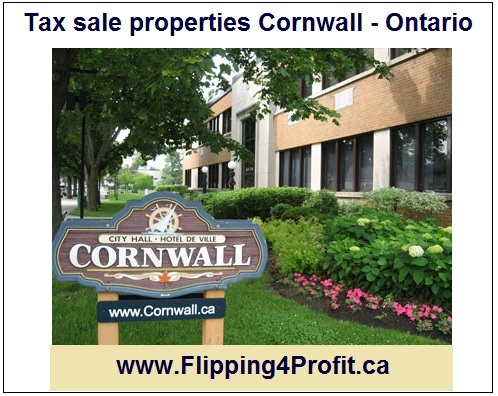 The City is authorized under the Municipal Act to sell the properties to recover the outstanding taxes. A Tax Arrears Certificate is registered on title if property taxes are unpaid on vacant or improved land for three years prior to January 1 of any year. Tenders will be received until 3:00 pm on June 23, 2016 at the office of Financial Services, 104-100 Water Street East, Cornwall ON. Tenders will be opened in public on the same day at 3:15 pm in the Council Chambers, 360 Pitt Street, 2nd Floor, Cornwall ON. Send us your request in writing at the following address, leaving us your name, address, telephone number, email address and we would be pleased to respond to your query as expediously as possible.